MAXFIGHT is a production, promoter and management company engaged in organizing professional MMA competitions in Bulgaria and abroad, managing MMA fighters, as well as in development of a TV product (for martial tournaments). Owner of the company is the president of the Bulgarian MMA Federation - Lyuben Dzhubrilov. The ideas of Mr. Dzhubrilov are the promotion of Bulgarian athletes and the organization of interesting meetings with foreign fighters in the country. On Bulgaria’ s territory and abroad the MAXFIGHT team has organized 41 professional MMA gala dinners, numerous amateur competitions, and several other championships so far. The tournaments, organized by MAXFIGHT are distinguished with perfect organization, amazing sound and light effects, memorable and intriguing meetings and overcrowded halls. The brand MAXFIGHT stands for success and interest. Today, thanks to the hard work of the team of MAXFIGHT, working with the elite global organization Bellator and remarkable visits from foreign fighters are no longer dreams. The company contributed to the visit of a number of racy guests, celebrities and classy fighters. MAXFIGHT works with all federations, confederations and sports organizations that wish to promote and develop sport. MAXFIGHT is successfully working in collaboration with M1 Global, Mr. Vadim Finkelstein- personal manager of the top fighter in the world Fedor Emilianenko. "MAXFIGHT" is also working with the global company WKN, which developes those styles : kickboxing, Muay Thai, MMA, grappling and boxing. From 2012 MAXFIGHT became an official partner of the global Eurosport TV. MAXFIGHT has exclusive partnership rights in organizing tournaments like Bigger's Better-an Eurosport’s production. MAXFIGHT has a contract with the largest television group in Bulgaria - bTV Media Group. All MAXFIGHT tournaments are broadcast in two episodes each of them consisting of 90 minutes on "BTV Action". 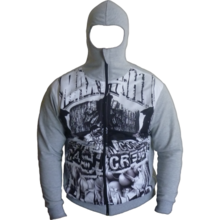 The brand Maxfight was set up in 2009 and has created a collection of fan products aimed at fans of MMA. Gradually the diversity of models is increasing and is complemented by lifestyle items, sports teams, accessories and equipment. 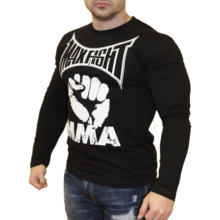 Maxfight dresses and inspires not only MMA fighters, but also creators from other martial arts, wrestling, sambo, boxing, Muay Thai and more. It is worked on the creation of a special limited edition and Signature Series for the best and most popular fighters. 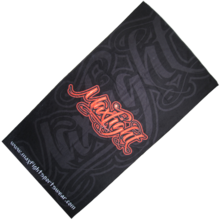 Currently Maxfight brand is preferred by both athletes and young people with an active lifestyle. The company aims to increase the number of fans by continuing to enrich their collections and to support current and future MMA stars. The style creates a feeling of comfort and freedom, individualism and self-esteem. 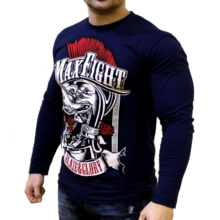 Items such as men's and women's sport shirts and sweatshirts are presented in the largest company sports stores and in the online store of Maxfight. We seek to constantly increase our distributors in all countries in Europe and beyond. Distributors can be not only shops, but also dynamic and enterprising people, who are fans of our products. All orders need 24-48 hours for processing before shipment. We offer a variety of payment methods: bank transfer, cash, ePay, PayPal.